In this creative coloring game you can color hundreds of images by number. Select your favorite category and have fun creating beautiful pixel artwork. 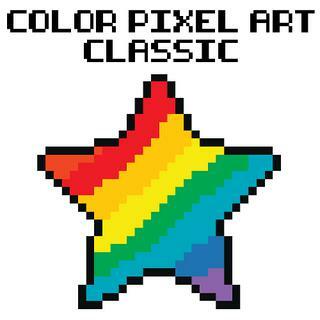 Animals, flowers, vehicles or fantasy creatures - Color Pixel Art Classic has awesome pictures for every taste. Simply tap to paint or tap and hold to color several blocks at once. Relax and enjoy! Welcome to our famobilicious HTML 5 cross-device game catalog. Here you can find more than 300 non-exclusive and exclusive licensed HTML5 games, reviewed, categorized and hand-picked for every taste. Feel free to browse through our games created by developers from all around the world. If you like Color Pixel Art Classic games, you should check out the other games from our famobilicious game catalog. Do you need help? Why don't you check out our Help & Support category and see if your questions and problems can be solved.